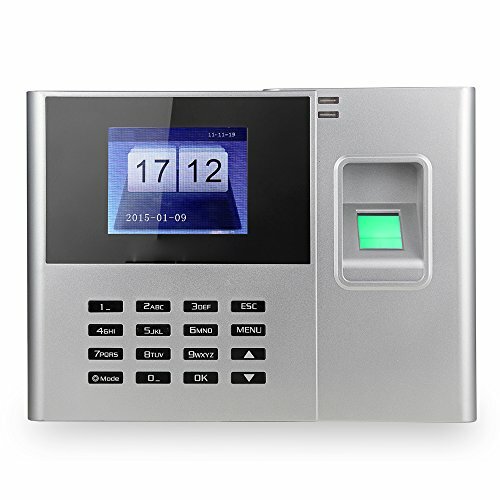 This machine is designed for checking in attendance by using fingerprint and password and suitable for office, factory, hotel, school, restaurant, retail store, hospital. Identification time less than 1s with high standard fuzzy identification. High precision total reflection optical fingerprint sensor. T9 input method that can edit name, department, frequency and other information. Fashionable appearance with HD screen and graceful design. This item without TCP / IP function, do not install the software, do not connect the computer, so do not have USB cable. Do not need software, implant complicated attendance software into fingerprint attendance machine.